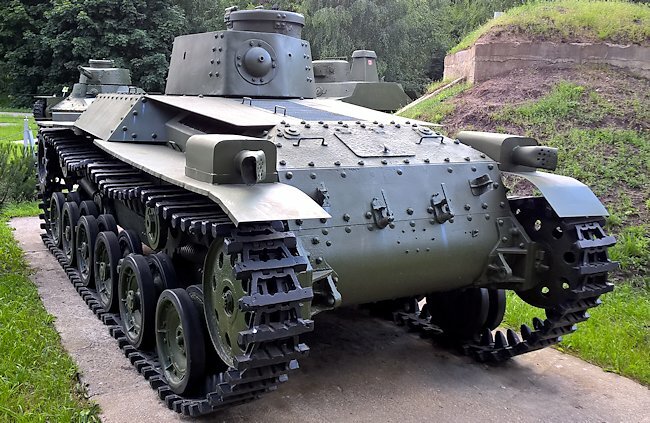 The Type 97 Chi-Ha Japanese Medium tank was first used operationally in China during the Second Sino-Japanese War that was fought between 7th July 1937 until 9th September 1945. It latter went to fight the Russians during the Soviet-Japanese Boarder Conflicts during the Summer of 1939. It was used throughout WW2. 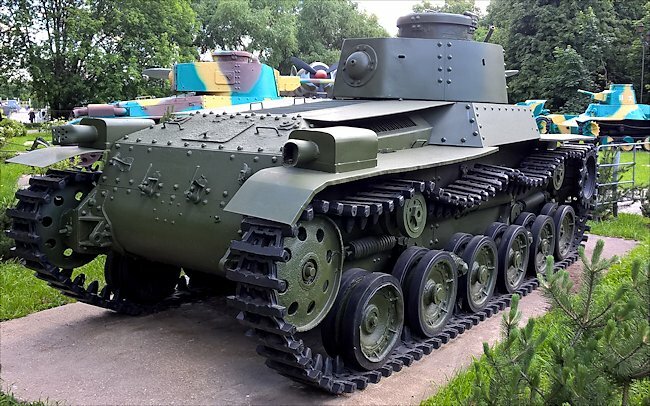 This Type 97 Shinhoto Chi-Ha medium tank can be found at the Central Museum of the Great Patriotic War 1941 - 1945, Park Pobedy in Moscow. You will find it in the road called Kutuzovsky Ave in the west of the city. The nearest metro station is Park Pobedy. The tanks are kept in an outdoor section to the left of the main museum building, as you look at the entrance. Follow the signs to the 'War Weaponary and Fortification' exhibit. There are no tanks in the main museum. 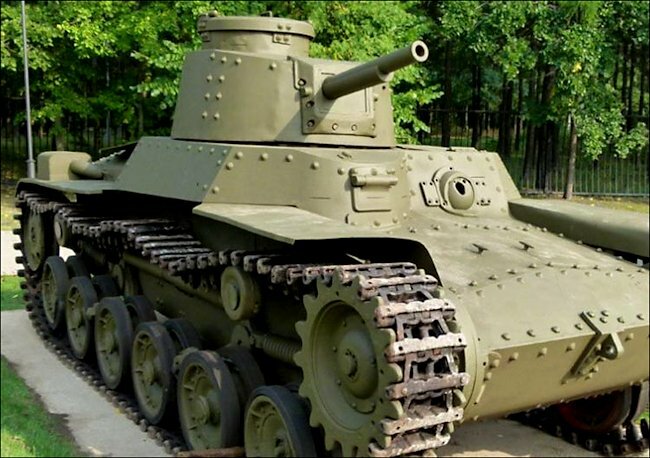 The Imperial Japanese Army's Type 97 Chi-Ha medium tank was designed in 1936 and produced between 1938 until 1943. Records show that 1,162 were built. It had a crew of four: commander, gunner, loader and driver. It had an armour thickness that ranged between 8mm and 28mm. The gun mantlet was 50mm thick. it weighed 15 tonnes. It was armed with a low velocity 57 mm type 97 anti-tank gun. It had two 7.7mm Type 97 machine guns, one in the hull and another in the rear of the turret. It was powered by a Mitsubishi SA12200VD air-cooled V-12 diesel engine and produced 170 hp. It had a maximum road speed of 38 km/h (24 mph) and a range of 210 kilometres (130 miles). Where can I find other preserved Type 97 Chi-Ha Tanks?